Credits//Author: Laura Gummerman, Photography: Amber Ulmer, Styling Assistant: Alexa Montgomery. Photos edited with the NEW A Beautiful Mess actions. This is definite a “woah” hairstyle. Very bold! I have blonde hair with darker roots like the model and I LOVE this look! Looks so voluminous and fun. I’d love to do that! 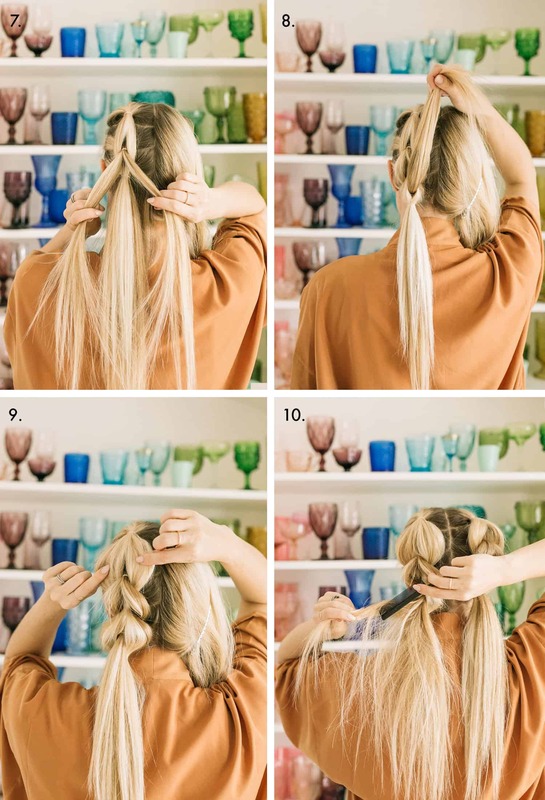 I just don’t have enough hair 🙁 My hair is fine, so I have about as much hair in my pony as what she’s holding up in picture 5! This looks gorgeous! Going to be trying it soon. 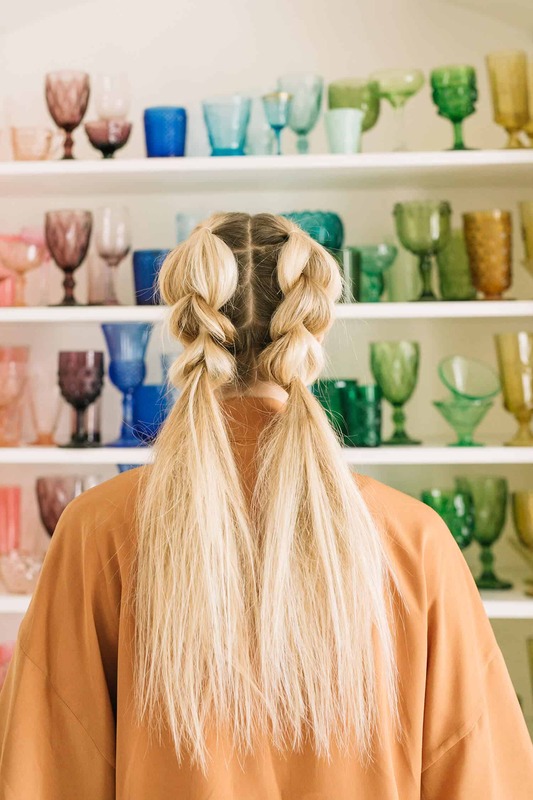 Such a fun hair style!! This is so cute and effortless looking. LOVE! ? 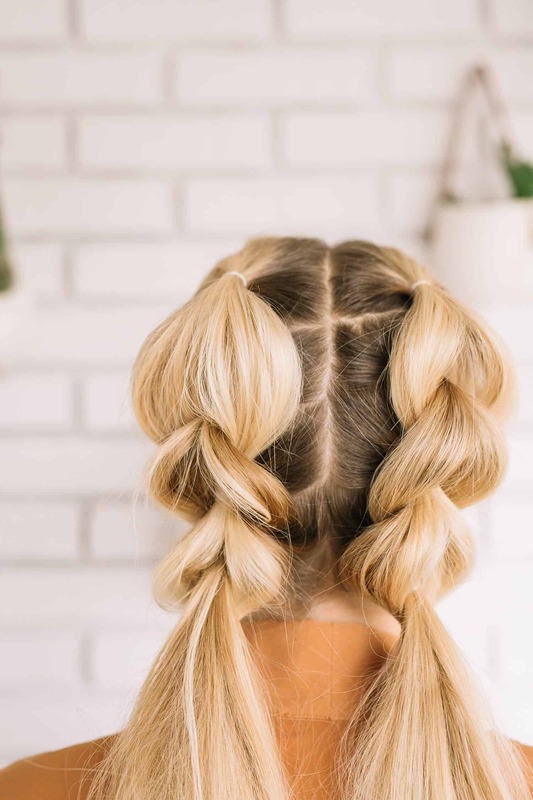 As popular as braids are right now, I’ve never seen a braid like this. Love the look and texture. I agree – it would definitely be perfect for summer! I wore a single version of this for an event the other month but I love how casual two look! and so much looser than french braids. LOVE this braid! Thanks for sharing! I think this would also be cute with messy buns at the bottom instead of ponies. Thanks for the inspiration! 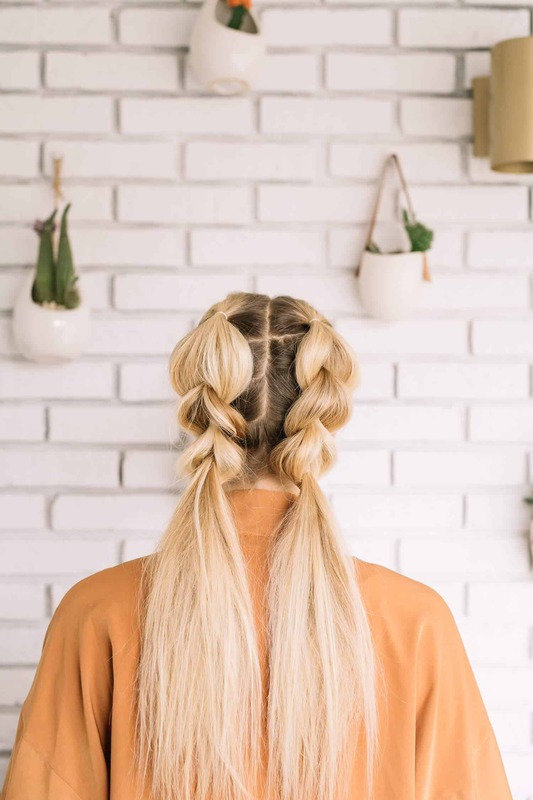 I am so in love witht this kind of fake braids. I would love it as a ponytail as well! 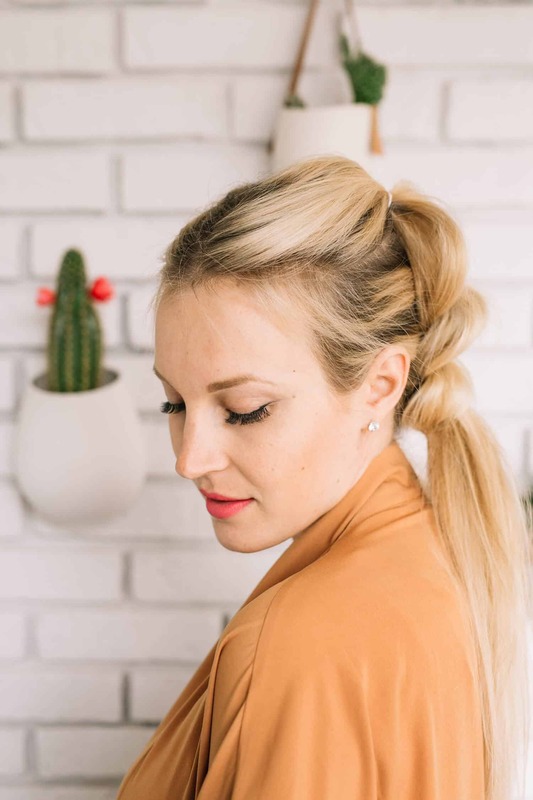 A chic and simple hairstyle for summer events! Maybe I’m not understanding but her directions only create two loops, not three. How do you finish it off? How do you tie off the third pony?